In Frank Miller’s original 300 comic, it takes the Persian king Xerxes and his army of thousands three days to destroy the small Spartan force led by King Leonidas and go on to successfully invade and conquer Greece. But 300 creator Frank Miller wants to make sure we know Xerxes’ story doesn’t really begin with the battle of Battle of Thermopylae. Originally announced in 2010, it’s the comic Zack Synder based his 2014 screenplay for 300: Rise of an Empire on. 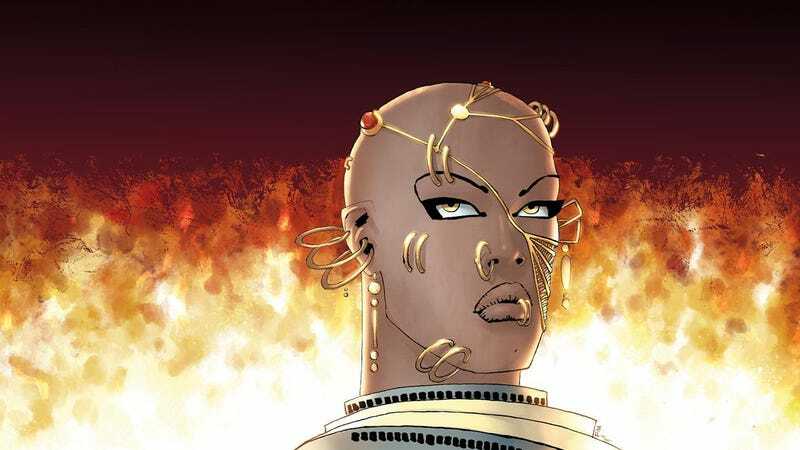 Miller’s picking the god-king’s story back up in a rather self-explanatory new series from Dark Horse Comics titled Xerxes: The Fall of the House of Darius and the Rise of Alexander. Miller is writing and illustrating the series with Alex Sinclair on colors. The five-issue miniseries will follow Xerxes as he sets out to avenge the death of his father Darius and remake the entire world in his own image, only to be confronted by Alexander, the one military tactician with the skills and knowledge to go toe to toe with the Persians with any hope of winning. In the vast majority of his depictions in Western media, Alexander the Great has been portrayed as, well, a great man, but that image is decidedly at odds with the historical record as told from the Persian perspective. Like all conquerors, Alexander left death and destruction in his wake and is known to have been a widely derided figure throughout the Persian empire. It’ll be interesting to see just how Miller goes about retelling the man’s story through a Persian lens when Dark Horse releases the first issue of Xerxes: The Fall of the House of Darius and the Rise of Alexander on April 4.